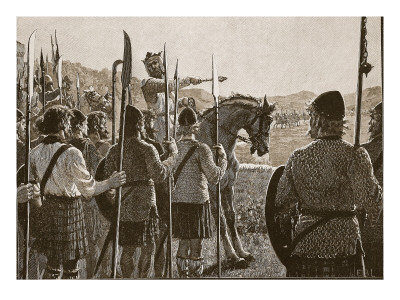 On June 23rd-24th 2014, Scotland will mark the 700th anniversary of a monumental event in the history of its nation. In the midst of a modern day campaign for Scottish independence, as determined by votes in a referendum, comes a stark reminder of how history repeats. 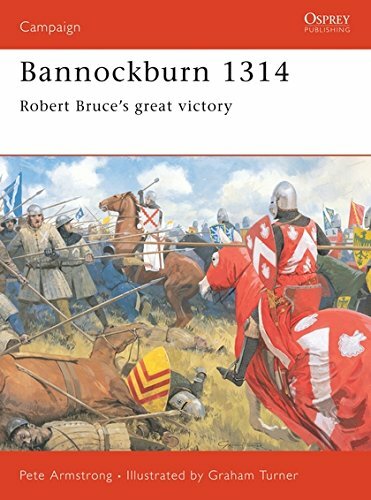 In 1314, it was Robert the Bruce leading his Scots into a decisive victory on the Bannockburn battlefield. They were up against an English ruler, Edward II, who would have Scotland governed as a vassal state, owing allegiance to overlords based in London. The links between then and now will no doubt find political leverage in Edinburgh; but does it tell the whole story? 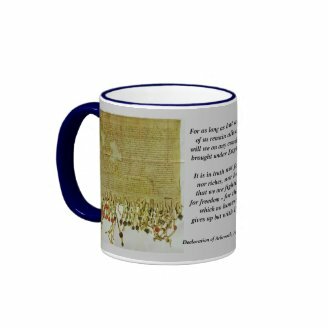 What actually happened at Bannockburn? Those most Fateful two days in Scottish history changed everything, then brought us back to the start. The pat, pithy answer can be yelled with a nationalist's fervor. The English came to claim Scotland. The Scottish kicked their backsides all the way south of the border. It's a comforting tale to recite in the deserted peace of a Highland croft, or to tag onto the end of a referendum rallying call. Yet it tells too narrow a truth. It white-washes the reality of a more insidious conquest. 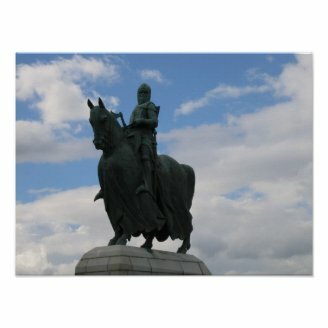 Robert the Bruce undoubtedly emerged victorious in the aftermath of Bannockburn. But for the Scots, self-government was merely an illusion. It consolidated a web of entrapment as complex as anything that could have been spun by Bruce's spider. Unplanned and unforeseen, it would ultimately cost Scotland everything. So much so that, 700 years on, the nation is once more battling England for Scottish independence. It would seem that the Scots won the battle only to lose the war. So who were the real victors here? Before we can talk about winners and losers, we need to be sure that we know who was fighting, and what was it for. Who Fought at the Battle of Bannockburn? Forces led by Robert the Bruce and King Edward II battled it out for control of Scotland. But it's not so simple as saying it was Scotland versus England. If you believe the hype from nationalists, tourist boards and armchair historians, then Bannockburn becomes very black and white. It's all of Scotland taking up arms to defeat an army comprised solely of the English. Robert the Bruce wishes he could have been so lucky. The reality being much murky and a lot more complicated. The Scottish Earl of Angus fought on the side of Edward II, as did Clan MacDougall and Clan MacNab. These were Scots who saw their fortunes as more secure under English rule, and who sought to gain more power yet after helping put down Bruce and his fellow rebels. After all, who could have predicted, on the eve of Bannockburn, that the mighty English forces would be so decisively driven back? Nor can we extend this and say that it was a monumental clash between the Celts and their English repressors. 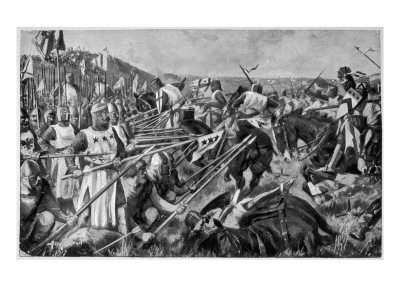 Anglo-Norman levies raised in Ireland saw thousands of Irishmen march as infantry against Robert the Bruce at Bannockburn. Bruce was also alarmed to realize that his Scots would be up against the infamous Welsh archers. The Earl of Pembrokeshire had amassed them on behalf of Edward II. In the two months leading up to the clash, Bruce ordered hundreds of yew longbows to be crafted. But he could only find 500 men with the skills, and inclination, to wield them. It was a threat which must have caused him plenty of sleepless nights. Finally, there were Frenchmen on that field, cavalry and infantry alike raised amidst the French territories owned by the English monarch. In fact, the primary language spoken by the leadership on Bannockburn field was not English nor Scots. Give or take the Gaelic of the Highland chieftains, it would have been French all round on both sides. King Edward II was monarch because of his descent from William the Conqueror. His generals were all Anglo-Norman, but what of the Scottish side? 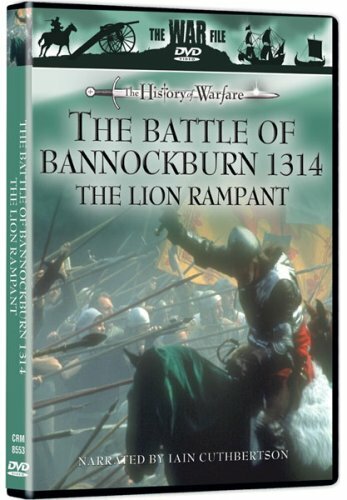 Bannockburn was fought on one side by at least 16,000 English, Irish, Welsh and French people fighting for Edward II. Many of his own English nobles had committed the barest number of fighting men possible to fulfill their feudal obligations. They still hadn't quite forgiven their king for his relationship with Piers Gaveston, and the domestic troubles that had caused. And on the other side, there were between 3,000 and 6,000 Scots; a great number of which were Highlanders, out of their comfort zone and disdained by their Lowland leader Robert the Bruce. A man who, himself, owed his name to a fortified town in France. 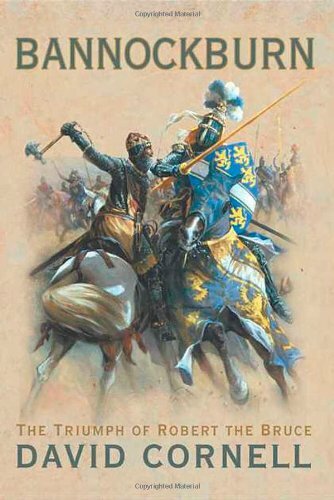 Bruce's ancestor, William de Brus, had been a Norman knight, who traveled from Brus, near Chebourg, to claim British lands alongside William the Conqueror. 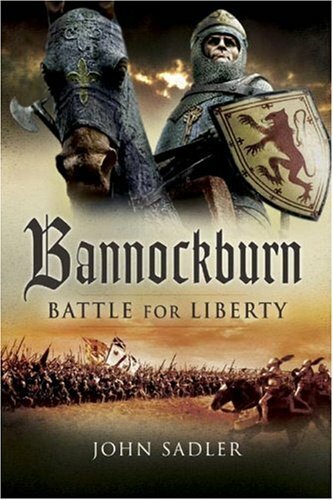 In many ways, Bannockburn was nothing to do with Scotland versus England. It was a land grab amidst the conquering classes of both countries. 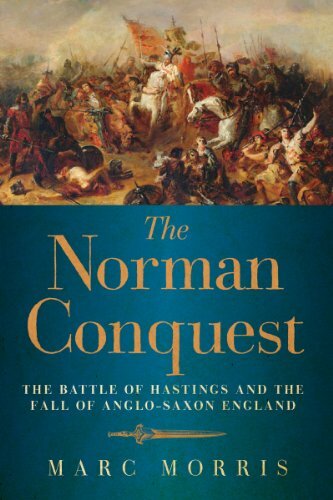 Part of an on-going power struggle between the Anglicized descendants of Norman invaders, in which the English, Scottish, Welsh and Irish were little more than cannon fodder. 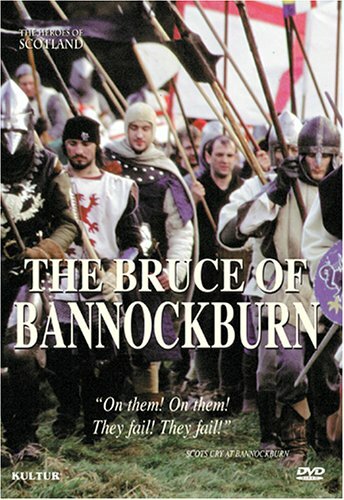 Thus Bannockburn stands as a great example of how the British were divided and conquered; as well as illustrating just how far the Norman Conquest cast its shadow through the centuries. The Normans never directly conquered Scotland. William the Conqueror tried and failed. But they gained ground in Lowland Scotland anyway, mostly through marriage. Did Scotland achieve freedom at Bannockburn? The answer to that question cannot be answered without asking 'from whom'? Certainly sovereignty of the realm was snatched back from English control after Bannockburn. In that regard, freedom to exist as a self-governing nation was achieved. Scotland was no longer a vassal state swearing an oath of allegiance to Edward II and his successors. But by crowning Robert I as their own king, Scotland had merely swopped one Norman monarch for another. There had not been a truly Scottish monarch since 1290, when the young Queen Margaret died en route to visit her country for the first time. It could be argued that, as she'd been hitherto raised in Norway, her father's death in 1286 signified the passing of the last ethnically and culturally Celtic ruler in Scotland. John III, aka Red Comyn, had been half Celtic, half Norman. His cousin, John Balliol, naturally came from French stock too. It says much about how far the colonists had infiltrated the upper echelons of Scottish society, that in that royal succession crisis, the favorites - and those with the strongest claim - should all be of Norman descent. This may also explain why Scotland, at its weakest and most vulnerable hour, should ask the strong and predatory English monarch to chose their king for them. 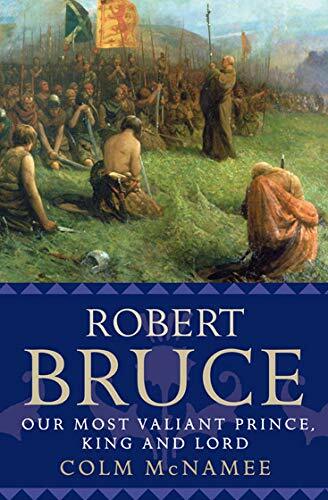 Robert Bruce did not initially throw in his lot with the native Scots. When the Bruce family first sought to press their own claim to the Scottish throne, they did so by asking Edward I of England to award it to them. The request was made under the explicit understanding that the prospective Bruce monarchy would preside over a vassal state. They would swear oaths of allegiance to the English king and his heirs. The Bruces had fought on the English side against William Wallace. The future Robert I murdered Red Comyn in cold-blood, after he emerged as a credible competitor, able to command genuine Scottish support. It's been argued that Robert Bruce was Scottish. Six generations of his family had been born in Scotland, since William de Brus first arrived as part of the Norman Conquest. But that did not make him culturally and linguistically Scottish. He spoke French as his mother tongue. 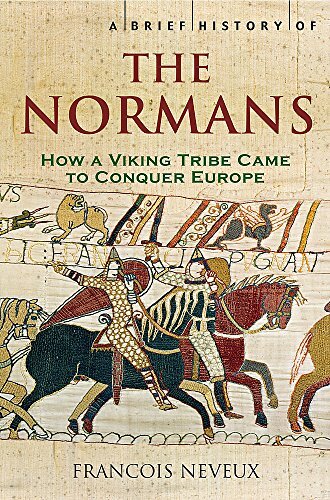 His traditions, mores and manners were Norman. Those six generations had all lived as the subjects of Celtic monarchs, who could trace their lineage back to the most ancient rulers of the Gaels. 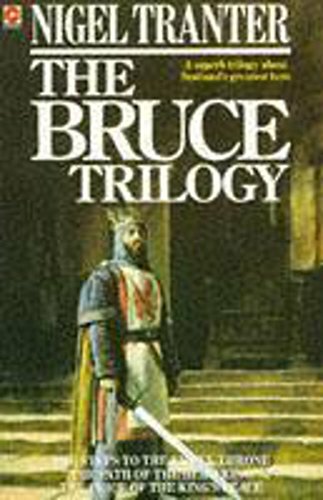 Yet the first instinct of the Bruce family was not to press their claim amongst the native Scots, but to ask for it from the foremost living descendant of William the Conqueror. It was only when Edward I dismissed that claim, in favor of elevating John Balliol as his subject king north of the border, that the Bruce family became aggrieved. Yet they still supported the English choice, right up until their own holdings began to suffer. Personal power and pique saw Robert the Bruce finally turn his back on his Norman roots. It was neither patriotism nor nationalism, which caused him to raise an army of native Scots in rebellion. He was fighting for the chance to become king. Some of those following him into battle may well have done so for Scottish independence from English rule. But evidently not to return as a strongly self-governing Celtic state. They'd opted for the home-grown Norman noble, over all of those still answerable to London. Scotland secured its political freedom, at the cost of cementing the Norman conquest with a crown. As a sovereign nation, the Scottish went from strength to strength under the Bruce monarchy. But a cultural genocide was underway. When the infant Margaret, Queen of the Scots, died in 1290, most of her people spoke Gaelic. During the course of the next twenty-four years, as England monarchs held undue influence over the country's government, more and more people in Lowland Scotland learned English and/or French. 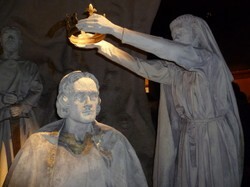 Robert the Bruce received a coronation steeped in Scottish Gaelic traditions, but that largely signaled the end of his involvement in Celtic culture. His court spoke Norman French. His appointments were made from the pool of exiled English aristocrats and Anglo-Norman colonists. French became the language of sophistication and style in Scotland. His system of government and administration aped that in England, rather than the traditional ways of the Scottish Gaels. King Robert I retained those burghs and burgesses established by Edward I, then looked towards his Anglo-Norman peers for further inspiration. His ancestral credentials and stable monarchy attracted traders from the north of England. They came to the markets also initiated by Edward I and demanded that business was conducted in English. Those Scots seeking to get rich on the proceeds quickly taught themselves and their children the language. Little by little, the Bruce's Lowland subjects were edged away from their Celtic roots and taught to disdain their native culture as old-fashioned, unprogressive and downright wrong. Embracing the example shown by this new crop of aristocrats, they hoped to find power and prestige by rejecting all that had made them Scottish. By 1390, no-one south of Stirling spoke Gaelic at all. They were Scots forged in the mold of Robert the Bruce's ancestry, at the expense of their own. In the northern Highlands, where no Normans had settled and the chieftains retained control of their clans, Scottish culture, traditions and the Gaelic language continued on unabated. Within a generation or two, the Lowland Scots had come to view their compatriots as barbarians, or knuckle dragging idiots, too backward to be considered truly Scottish. Thus the divide and conquer took hold on the back of a cultural genocide in the south. The far-reaching consequences would eventually return a Scottish king to the English throne, who was indistinguishable from the English aristocracy. And who preferred London to Edinburgh. Further still, it would facilitate the circumstances which gave rise to Culloden and the Highland Clearances; then would ensnare Scotland politically and economically into an Act of Union. Seven hundred years after Scotland's victory at Bannockburn, it would be necessary for the nation to look for independence again at the ballot box. The campaign trails would be conducted in English, amongst a population which culturally appears no different to its neighbors south of the border. Not because Scotland ever wished to become England, but because the rule of Robert I was not fundamentally different to what may have been expected under Edward II. Both countries simply became Anglo-Norman, and that looked the same regardless of their location relative to Hadrian's Wall. Who won at Bannockburn? 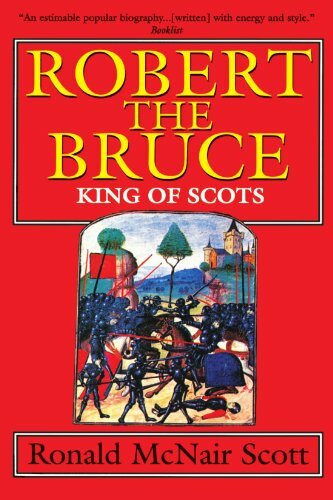 Robert the Bruce and the descendants of the Norman conquerors. What did they win? 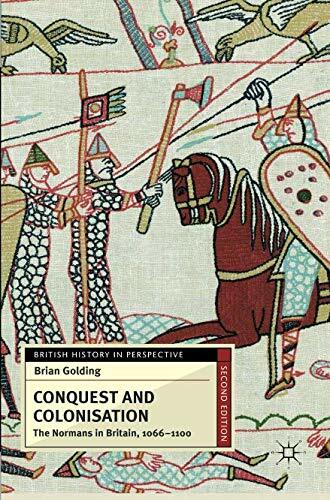 Scotland, and the completion of the Anglo-Norman conquest of Britain. Delve further into the circumstances which led to the reign of Robert the Bruce, and beyond to the Scotland that he left behind. Even as late as the 6th century, I was finding hints of this. It was while I was researching the story of Maelgwn Gwynedd. He was said (twice) to father children with Pictish princesses/queens (obviously using modern terminology there), because he was such a strong leader. It wasn't his leadership needed - he never became king - but his seed for the future monarch thus sired. The cultural connection between Brigantes and Picts can be inferred from the story of Cartismandua. Both seem to have used matrilineal inheritance of the throne. In the late sixties Cartsmandua was going to dispense with her husband Venutius and get his armour bearer, Velocratus, as a new lover. In a patrilineal/patriarchal society that does not happen. The king kills the rival, and the queen, if she is lucky, gets away with her life [e.g. Henry 8th, whose queens were not lucky.] But in a society where there is matrilineal inheritance and where the queen is the representation of the goddess of sovereignty, husband replacement can and does happen, and the previous husband is often sacrificed. Husband replacement seems to have been happening in Brigantia in the sixties prior to the Roman arrival. If we look further back into the history of the Isles we note the existence of Maeve of Connaght,a sovereign queen if ever there was one. It is thought that bog bodies in Ireland were sacrificed kings, indicating a widespread matrilineal/matriarchal system . I wonder whether Boudicca was such a queen. The matrilineal system found among the Picts is to my mind the remnant of the older way of doing things in the Isles before the arrival of Celtic culture, which used patrilineal inheritance. It seems to have been operating among the Brigantes in the first century, so there could have been affinities between Brigantes and Picts, and this may have been the case with some Britons North of the Wall as well. Cartismandua was long dead by 367, but she could have had a successor, indeed would have done. OOohhh! This makes a lot of sense. As soon as you said Brigante, I thought of Cartismandua. She would have certainly had the clout and the contacts to support something like that. And there is so much trickle-down anecdotal evidence of the matrilineal sovereignty of the Picts. I've just never thought of the Brigante and the Picts in the same context before. Stuart Laycock, writing in Britannia, the Failed State, suggests that some of the Picts who raided in the South of England during the troubles of 367-369 might have been Brigantes, who themselves were painted. Note that the Picts were said by Bede to have a matrilineal system of inheritance, with the sovereignty passing through the female. There seems to be a parallel between this and the Brigantes of Yorkshire, whose queen Cartimandua seems to have been able to select and put aside husbands as she saw fit, which explains the troubles with Venutius which led to the Roman intrusion into Northern England. Thus there is a valid case to be made that elements of Pictish culture spread further south than the kingdom of the Picts located in Alba, even among peoples who were accounted Britons and who spoke the British language. Calanon - I knew you'd clarify this! That substantial British land north of the wall is what I was remembering. Though I thought it was Pictish. Then again, I tend to think of the Picts as being pretty much Brythonic with a new label stuck on them by the Romans. 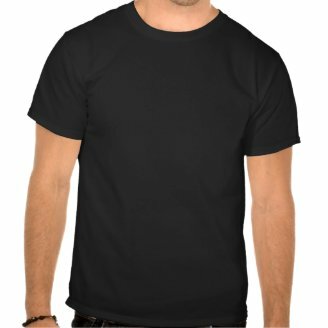 Is that too simplistic? As you can tell, my field of expertise tends towards those living further south and west... or Wales as we know it today. I keep asking Audioworm for my time machine. He's given up telling me that the Physics don't add up. Good points, Calanon! I question whether the definitions of Pict was as clear as we would like to think. Certainly there were Britons North of the wall, else Cumbric would not have been spoken there. But the distinction between Pictish and Brythonic culture may not have been as clear as some would think, particularly as you went further north. The cultural boundaries may have been more of a continuum than a rigid division. I believe that this is the case with the division between Scotland and England. For example, as a Northern Englishman I feel culturally somewhere between Southern Scotland and Southern England. You are probably right that Pictish was related to the Brythonic tongue, but there is the problem that it differed enough from the British language for Bede to regard the two as different tongues, while he did not distinguish Cumbric from its relative Welsh. I note that your self description is historian and nerd. That's great. I like nerds. with the four groups between Hadrian's Wall and the Antonine Wall being primarily Brythonic. Hadrian's Wall was built straight through the centre of Pictland. People assume it was on the edge of Friendly Territory, but you'd have never got the wall up, if that was the case. It was mostly constructed by British slave labour, but with the full collusion of local chieftains. Assigning Celtic credence is always problematic, due to what's meant by 'Celtic'. Brythonic and Gaelic/Gallic normally covers it. As you said, Scotland has so many other cultures in the mix, but then so did Ireland, particularly in the Pale. Man is worst of all. That's been completely overwhelmed by Britons, Norse, then Gaels. I'm going to ask my friend Calanon to pop into this thread. I think he'd have useful things to add. The linguistic situation is complex. Pictish, which Bede distinguishes from Gaelic, died out. Gaelic dominated much of the north, but Norn was spoken until the twelfth century in the North Hebrides, and it still influences the vocabulary of Fair Isle. Cumbric in its various dialects was spoken further south, and Lallans English was powerfully present north of the Wall. This was related to Northumbrian. Prebble's book broke my heart when I read it. More so than his book on Culloden, but only because I expected what I was going to read there.